Our primary website, packed full of details about EAR, recent news and professional audio and video events (register here). 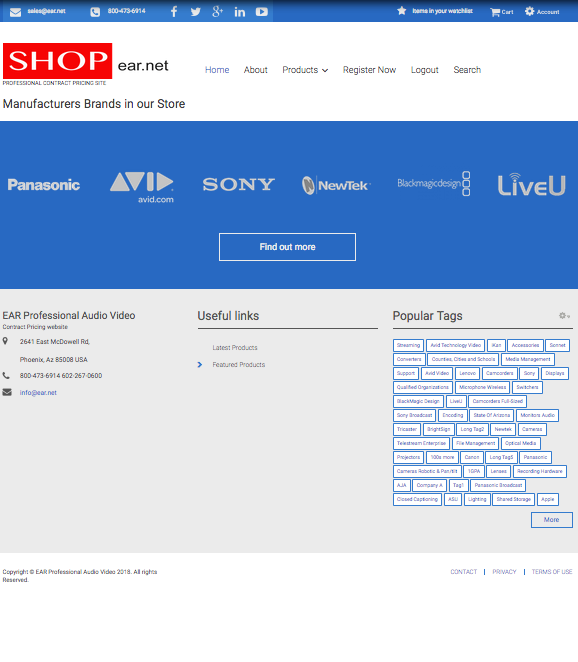 If you need to contact EAR, find details about who we are and how we do business, this is the site to visit! Primary product commerce site. Featuring the best value added products and services in the professional audio and video world. We try to include all our products on this site and it changes daily. Can’t find something send us a quick quote request or call us. 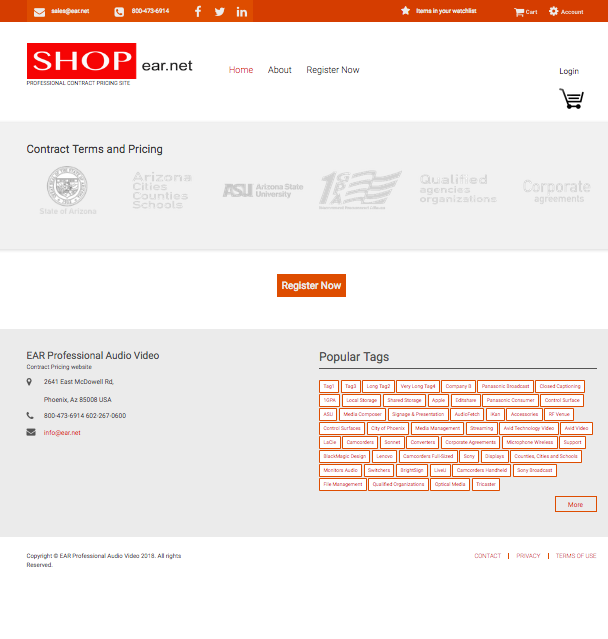 Contract commerce site. Featuring the best value added products and services covered by government, educational and commercial contract pricing schedules. It’s easy to register and chances are we have a contract in place to accommodate your regular purchasing needs including punchout (punch-out) catalog capabilities. Register today or give us a call! 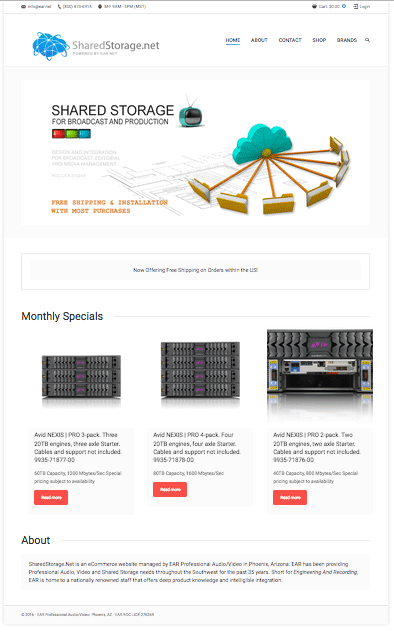 Micro-site for best of breed shared storage and workgroup products for the professional audio and video industries. Launching in mid 2017, this site includes products for the fast paced storage industry with a professional audio video flavor. Workgroup, storage for systems and automated workflow will be it’s primary focus. 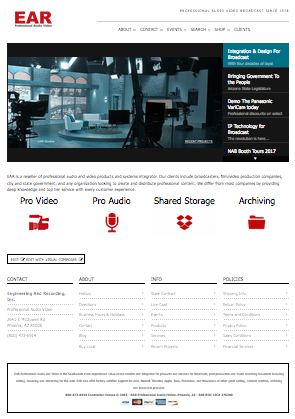 Micro-site for archiving and storage products for the professional audio and video industries. Everything should be backed up, right? Ok, most people put off the best practice of saving their precious media to something other than a hard drive on a shelf. These products are more expensive than a 4TB SATA drive – but they are far more reliable and the only way to store your life’s efforts for decades!